THE SEEN announces the Spring / Summer preview titles launching Issue 06 in print this April 2018, featuring Brendan Fernandes on the cover to align with his recent exhibition, The Master and Form, at the Graham Foundation. The full-color, oversize journal will be produced as a limited-edition 9,000 count run available for distribution at multiple public locations throughout the city of Chicago, as well as select national and international distribution. With Staff Writers reporting from around the world, each issue of THE SEEN features in-depth writing on contemporary art, as well as highlight essays, artist profiles, reviews, and limited-edition contributions from top international artists. Issue 06 will feature exclusive pieces and new commissions on the best in international contemporary art. Pick up your free copy at institutions in the Chicago area. Image on the Cover: Brendan Fernandes, As One VIII, 2017. Edition of 3 + 2 AP. Digital print, 34 x 48 inches. Image courtesy of the artist and Monique Meloche Gallery, Chicago. 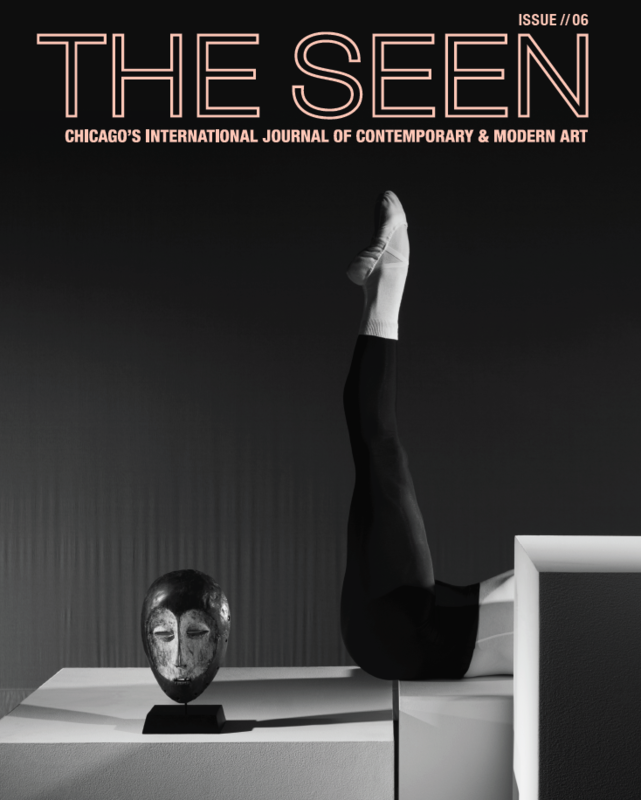 March 2, 2018 | Filed under CURRENT ISSUE and tagged with issue 06, The Seen.